Goon Squad: HE/Nuke Missile Used at West Texas Plant Fire? 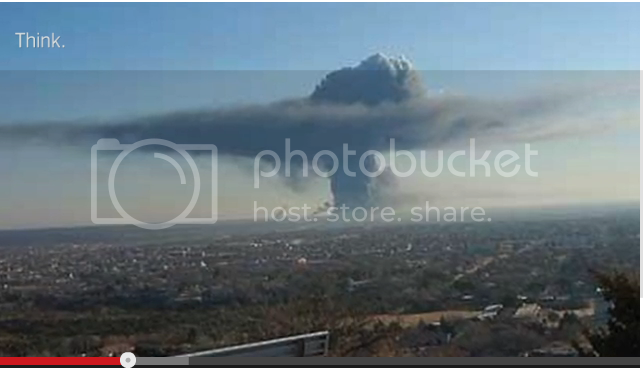 This site nailed the West Texas explosion right off the bat as some type of missile strike. Adding those shots of the explosion during the day with the mushroom cloud. I saw the missile hit on youtube and I concur. 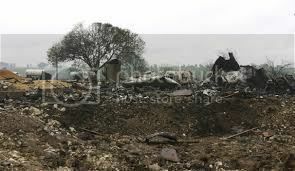 The Damascus bombing I wasn't too sure about, but after seeing the fireball at night, there was no mistake about it. I would have to say they were bunker busters tipped with an atomic weapon. The bunker busters were given to Israel during the last Bush administration. The only bombers big enough to carry them are the American B52's and the B1. Either America did the actual drop or gave Israel those ships. If so, this is worse than I can imagine. However, America has a history of dropping atomic weapons on innocent people. Yes, America does have a nasty history of using nukes and I fear, the PTB are going to use another one here at home, that will be blamed on Syria and off we go to 'Shock and Awe' another ME nation.